Obituary for Jan Ernst Perkins | Laughlin Memorial Chapel, Inc.
Of Dormont, on Sunday March 17, 2019. Born in New Martinsville, WV on February 24, 1932, the adopted son of Hiram and Mildred Perkins. Jan attended the Linsly Military Institute and graduated from the University of Pittsburgh in 1955 with a B.S. in Mechanical Engineering. He started his career with Glenn L. Martin Co. in Baltimore developing Rocket Propulsion Systems and then the U. S. Army Corps of Engineers - Pittsburgh District specializing in sewage treatment designs and emergency services for floods, hurricanes and storms throughout New York, Pennsylvania, Ohio, Indiana, W. VA, Florida, Alabama and Kentucky. He retired from the Corps. In 1986 and was employed by Gibson Thomas Engineering, Inc. in Latrobe, PA and a professional engineer and consultant, specializing in the design of sewage treatment plants, pumping stations, sanitary sewage systems and individual sanitary systems. Jan was a member of Masonic Lodge #758 F&AM for over 50 years. 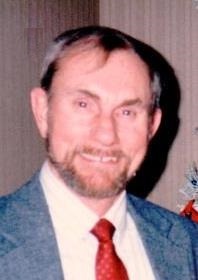 Beloved husband of Amelia (Scattaregia) Perkins; father of Mark, Bruce, Jan (Tammy) and Jon (Michelle), step-father of Suzanne Petrocelly, Julie Andrews (Mark) and Kelly Loughran (Dennis); grandfather of eight; great grandfather of six; also survived by the mother of his sons, Roberta. Family and friends will gather a Laughlin Cremation & Funeral Tributes, 222 Washington Road, Mount Lebanon on Saturday afternoon from 12:00 until 4:00 p..m. Service and interment will be private. If desired, memorials may be made to Linsly Military Institute in Wheeling, WV or WW II Museum in New Orleans.